Last year I was asked by the guys at Eyejack to be involved in a fantastic project to create some augmented reality artwork for a book called Prosthetic Reality. The book features work by myself and 45 artists, animators and sound designers from around the world. The brain child of Sutu and Code on Canvas, Prosthetic Reality was published last year and has since been exhibited in Melbourne, San Francisco and now Adelaide. You can catch it at Mod.ify until November 2018. Prosthetic Reality captures the first wave artists, animators and sound designers exploring the intersection of technology and art through AR. 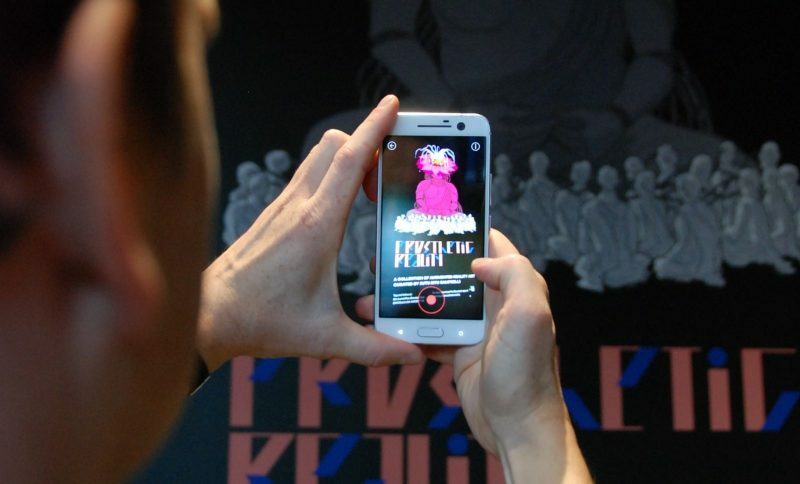 The exhibition has been described by VICE as “the most ambitious AR art project” to date, and was winner of the 2017 Auggie Award for ‘Best in Show’.